The Rollgliss carry bag is made of heavy duty material. 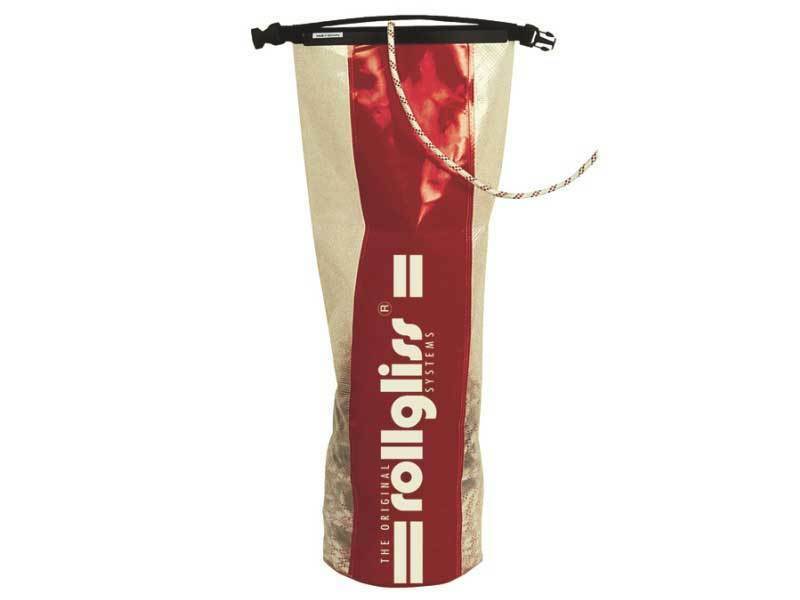 This bag is designed to carry a Rollgliss unit complete with a maximum amount of 100m of rope. The bag is red and white and has the Rollgliss name branded on the side. The top of the bag can be clipped up.